Enjoy the magnificence of reverse scan analog sound tracks using the 660 nM visible red LED and narrow slit receiver cell developed by Dolby Laboratories, either by themselves, or with the optional Dolby Digital® reader to give your presentation the finest of today's exciting sound tracks! Select the model to suit your needs! **Analog-only versions are available for RCA, Ballantyne, Century and Simplex soundheads (please specify if for SH-1000), with other models under development. Please call regarding other applications. • All models are ready to mount to existing holes and fittings. No holes need to be drilled or tapped. • The 660 nM visible red LEDs developed by Dolby Laboratories are used to scan both tracks assuring long trouble-free life, even illumination, and compatibility with future analog configurations. • Both analog and digital lens/pre-amp assemblies have been fully adjusted for magnification and positioning and need only final adjustment in the soundhead. • Digital units are supplied with a 10 meter special video cable necessary for connection to the Dolby DA-10, DA-20, CP-500 or CP-650. 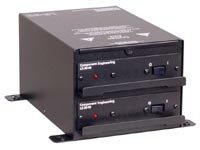 All systems come complete with Component Engineering's LS-30 Power Supply. This is available in either rack mounting (1 unit high) or surface mounting, and each housing accepts two independent plug-in modules. 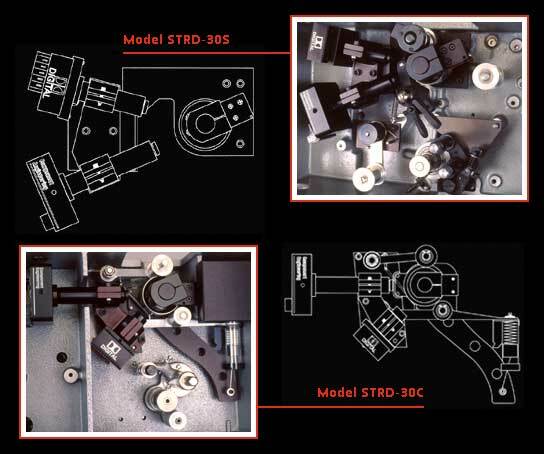 Reader Modules ASR and STR come with one supply module and one blank cover while the STRD model comes with both supply modules. Extra modules are available. These power supplies are exceptionally quiet and stable current source units with built-in protection circuits. They are designed to take good and gentle care of those expensive LEDs and allow them to provide many thousands of hours of trouble-free operation. Surface mount housing is approximately 5" x 6" x 8.5"
"Dolby" and the double "D" symbol are registered trademarks of Dolby Laboratories, Inc.